Situated in the Opera neighborhood, this 4-star aparthotel is within walking distance of the famous Parisian department stores, the Garnier opera house, the Madeline Church, and the Grands Boulevards. 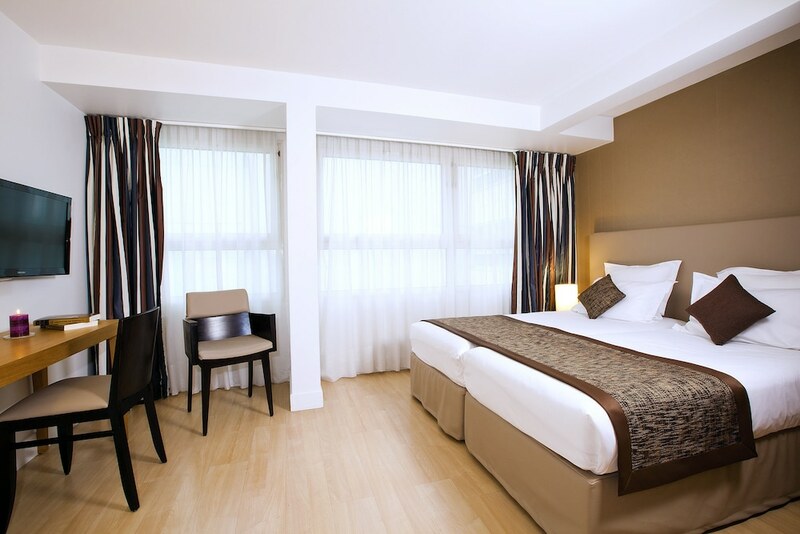 Guests of the Residhome Appart Hotel Paris-Opéra can use the complimentary wireless Internet access in the lobby, enjoy buffet breakfasts (surcharge), and ask the staff at the 24-hour front desk for tourism advice. The 164 modern apartments at this Residhome property feature individually controlled air conditioning and light wood floors. Each residence includes a fully-equipped kitchen, LCD television, and safe. Behind an 18th-century style façade in the center of Paris is the modern Residhome Appart Hotel Paris-Opéra accommodation. Guests are welcomed by multilingual staff at the 24-hour front desk. Public areas are equipped with complimentary wireless Internet access. Buffet breakfasts are served the the breakfast room each morning (surcharge applies), with breakfast room service also available. The staff can provide tourism advice, concierge services, and evening room service. Child care services (surcharge) are also available. This aparthotel is conveniently located near train and Metro stations, a limo or town car service can be provided, and covered parking is available (surcharge). Buffet breakfasts are available for a surcharge, and served in the breakfast area from 7:30 AM to 9:30 AM. Room service during limited hours is available. The aparthotel does not include an onsite restaurant; however, several cafés, restaurants, and bars can be found within a short walk's distance.